Simulation has become the preferred approach for engineers and scientists who design complex systems because it allows them to test whether a system design meets all necessary performance standards. This book provides an introduction to computer-aided system design with Simulink®, a robust, accurate, and easily used simulation tool. The author takes readers on a tour of the Simulink environment that shows how to develop a system model and execute the design steps needed to make the model into a functioning design laboratory. Included along the way are the mathematics of systems: difference equations and z transforms, ordinary differential equations (both linear and nonlinear) and Laplace transforms, and numerical methods for solving differential equations. Because specific applications require specific tools, the author introduces additional software packages that work within the Simulink environment. The Signal Processing Blockset® extends Simulink into the areas of both analog and digital signal processing; Stateflow® is used for state charts and signal flow for modeling event-driven systems; SimPowerSystems® handles physical modeling, in particular the modeling of electrical circuits including power systems, motor drives, power generation equipments, and three-phase power transmission lines; and SimMechanics® develops models of mechanical systems such as robots. In total, the author covers over 70 applications taken from several disciplines, and he describes numerous tested, annotated, and reusable models and blocks to help readers apply the book's material to their own applications. 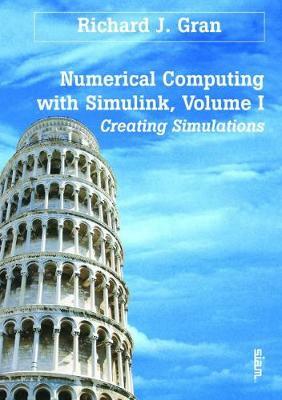 A webpage offers links to supplementary material about Simulink and its associated tools from The MathWorks and the author.